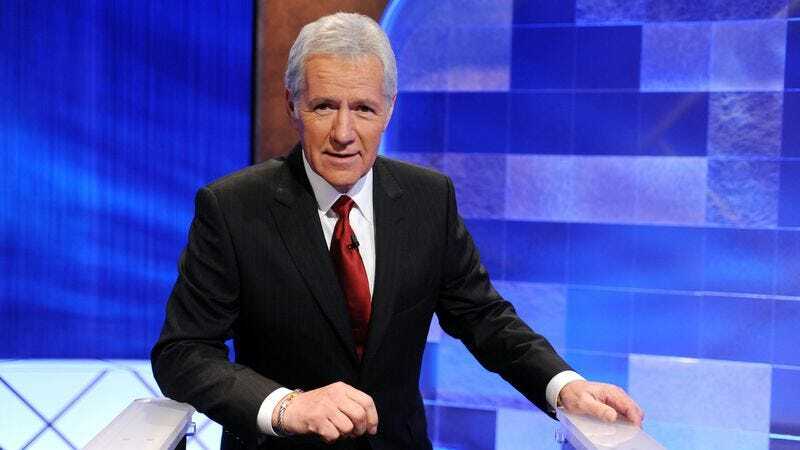 Despite rumors and hints that he might be retiring from the show, Alex Trebek has re-upped his Jeopardy! contract through the 2018 season. (Ken Jennings, you can pry that hosting job out of his cold dead hands.) The 74-year-old Canadian, who films five episodes a day twice a week off and on throughout the year, was making a reported $10 million a year on his last contract and is probably making at least as much on his new deal. Jeopardy! garners about 10.7 million viewers a day, most of whom just love to shout at their TVs. Wheel Of Fortune’s Pat Sajak and Vanna White also just renewed their contracts through 2018. That show pulls about 11.4 million syndicated letter-guessing viewers every day.